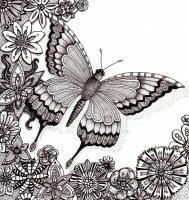 The pattern and colouring are very beautiful, lovely work! Wow Everyone truly has their very own gifts!! Admire that it was draw and not just digitized!! Beautiful. Hi! 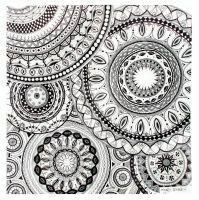 Do you have the file of this mandala for sale? 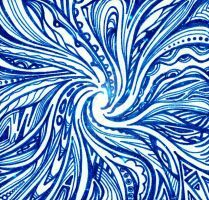 I like this mandala. Nice work! I love Mandalas, they really reflect the meaning of life for me. As we are made of mandalas, so we are a mandala, and so we will evolve as mandalas of the universe. May I use your picture for a cross stitch pattern?Thanks! would it be okay to use it for a tattoo? It's just soooooo gorgeous! may i use it for a card? This one is my very favorite of all your wonderful pieces ! It is just perfect !!! 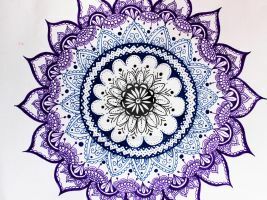 A mandala flower with a gradiant blue ! 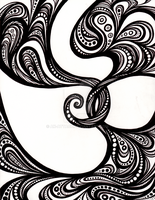 I would LOVE this as a tattoo - it's amazing! I don't know why, but I have such a hard time drawing with color. But.. I LOVE blues and I love this design. We use a lot of the same pattern techniques. Great job! The way you've layered the blues is just lovely. It looks like it's floating or submerged in water. What type of pens did you use for this piece? i don't remember, it was a long time ago... maybe pilot pens? Very pretty Love the blues!